This is a quick method of configuring your delta printer If you're using smoothie firmware and a probe installed. Once you have the basics, rod length, delta radius and approximate height. Verify that your probe works with M119 gcode command. Next, do a G32 to do an auto-calibration. Save with M500. 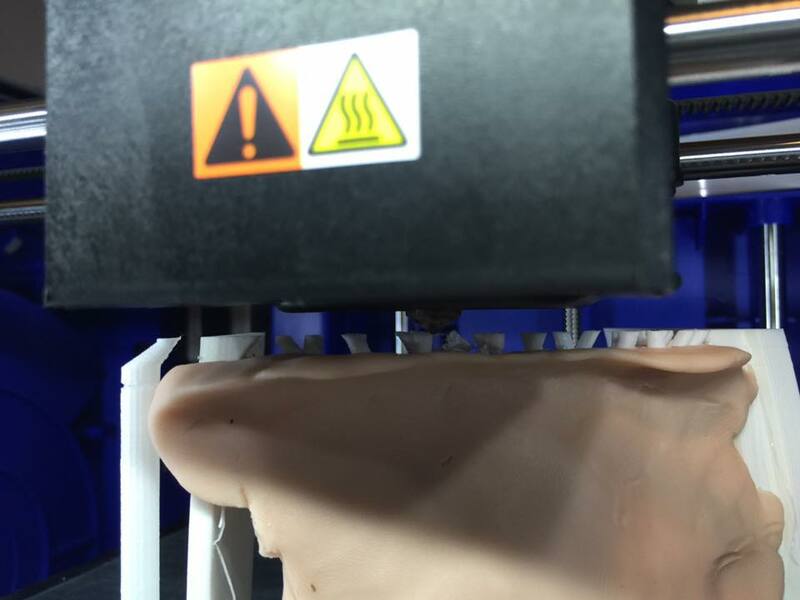 Be aware this save additional info such as extruder steps, which might not be correct. Lastly jog all the way to the bed use a dollar bill or card and then use M306 Z0.1 after calibration to set the offsets rather than mess with setting probe offsets. Ensure that your carriage is moving the expected distance when you do a Z jog. Jogging down 10mm should move the carriage 10mm. 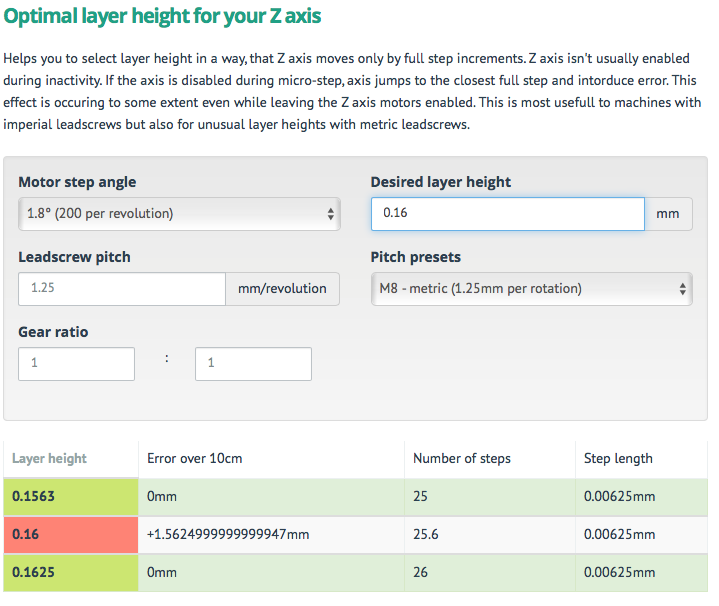 This will let you know if your XYZ steps/mm are set correctly for your micro-step settings. 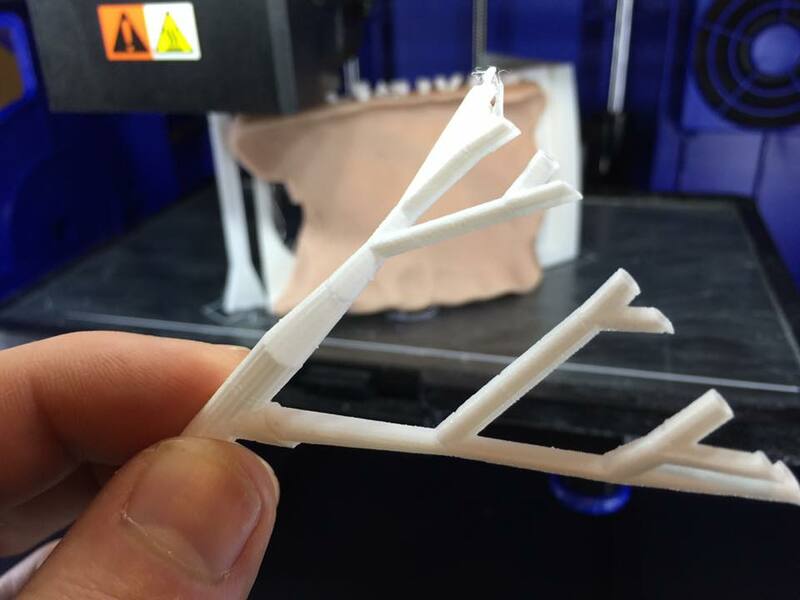 I was recently reading though the 3D Printing group on facebook when one of the members, Ken Jones, posted an amazing trick to save a print when the support structure falls off. Just use putty or clay to hold it in place. I pause the print... remove the fallen supports... then put clay in across the horizontal gap, trying to make the top level of the clay as flat as possible and wide enough to serve as the new surface... I use the existing structure to anchor the clay on as well. It takes a little trial and error but eventually (when you get the clay slightly above the level of the print so the extruder comes in contact with just a tiny bit of the clay on the first pass) the supports start printing from where they left off on the fallen part. There are comments on each of the pictures. If this is too hard to follow, I can try to post a better explanation. Let me know. It usually take a couple of passes but eventually the support fills back in saving the print. Neat trick, hopefully this saves some headaches for some one in the future. Most people don't realize it, but you can get reasonably accurate prints with just about any 3D Printer, even with low-end clones. With a little bit of time and measuring, prints can be within .05mm accuracy. Having an uneven X and Y is where a 20mm cube will print 20.5mm on the X-axis and 19.95mm on the Y-Axis and cause circles to be over or under-sized and eleptical. 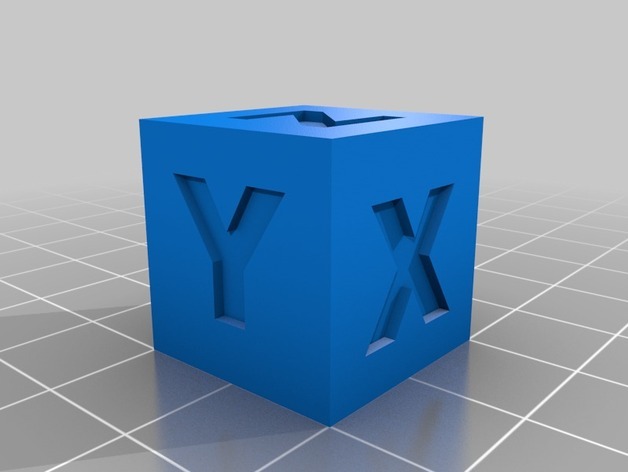 Print a calibration cube and be sure to orient it to match the proper X and Y axes for your printer. It is important to keep track of which direction X and Y is. Find the step-per-mm values for your printer. In most slicers there will be an area you can type in GCODE commands. Typing M501 will let you read parameters from EEPROM. For marlin and smoothie firmware, this should be the M92 value for each axis. Measure the printed object with a pair of calipers. (OLD step value * DEFINED object length) / MEASURED object length = NEW steps per mm value. (114.20 * 20) / 19.625 = 116.382 Our new X axis steps is M92 X116.382. Enter that in the GCODE area and save it to the EEPROM by typing M500. Repeat this calculation for the Y axis and print again. Repeat these steps until you are satisfied it is close enough. In case you were wonder what is close enough, Anything that measure 19.955 on any axis is pretty damn close. Setting the Z steps requires a different method. Since most printers use a mechanical leadscrew this will be set in stone. Make sure to find out which type of stepper motor and lead screw you have and input that information using Prusa's excellent calculator. http://prusaprinters.org/calculator/#stepspermmlead Once you get that number, input it back via the M92 gcode. While you are at the Prusa calculator, you will notice the next widget they have, is for optimal printing layer height. Just put in the layer height you want to print at and see if will work with your configuration. I recommend keeping a list of the exact layer heights you can print at. This will dramatically improve your accuracy. If it comes up red, avoid it like the plague. This leaves the last motor to be calibrated, the extruder. The method is very similar to what's been done previously. 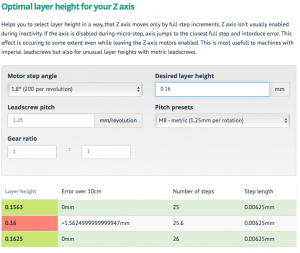 So go ahead and follow the steps outlined on how to calibrate your extruder steps. Don't worry, we'll wait for you here. Last but not least, after all this is done. You should follow up with calibrating extrusion thickness. This last part is on a per filament basis, so It's always going to change and it's a good habit to record and keep track of how each roll prints. With all this done you should be getting near perfect prints.